This brand new home is loaded w/ standard features and on a fantastic lot (50'x270')! Unlike much new construction, the base price of this home already includes countless upgrades! 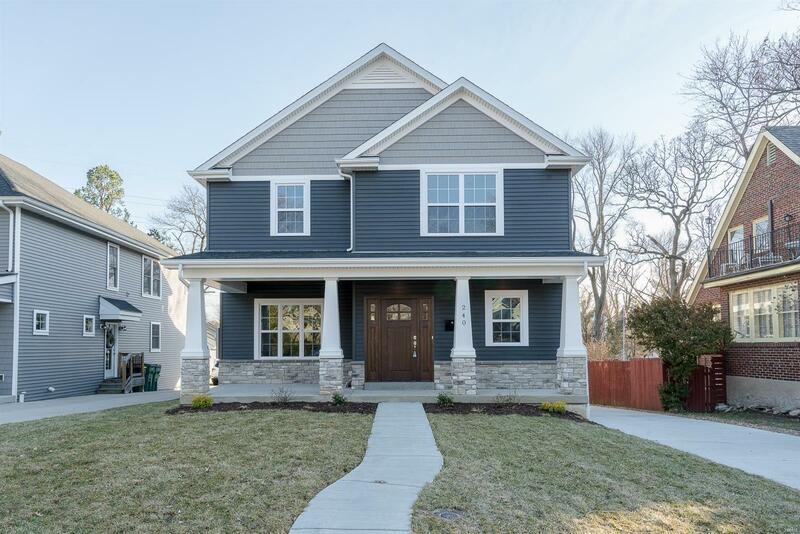 Enjoy all that Webster Groves has to offer in this home, w/ the added benefits of new construction! This luxury home boasts 5 BR's, huge great room, formal dining, fireplace, 8'10" bsmt pour, wood floors, 2 zone hvac, 9' 1st floor, wood stairs & so much more! The gourmet kitchen features an island w/countertop extension, granite, gas oven/range, tile backsplash & walk-in pantry. In the master suite, you'll find an enormous walk-in-closet, sep tub/shower, double sinks & sep water closet. The finished lower level includes a bedroom, 3/4 bath & a huge rec room! The exterior has wonderful curb appeal w/covered porch, sod, landscaping, architectural shingles, stone details, covered deck & much more!